The shortage of energy in rural areas and the pollution of the environment from animal wastes due to lack of appropriate technology in Africa motivated the author to conduct research and write this book. 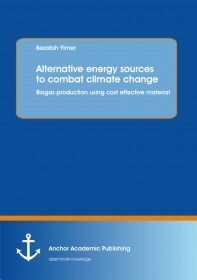 In this research book an economically feasible, technically acceptable and environmentally friendly biogas plant is designed by using low cost plastic materials. This book is an essential reference for chemical engineering, environmental engineering and agricultural students. The concept solves global environmental pollution and the problem of lack of energy and organic fertilizer in rural communities at once. Moreover, this book plays an important role for agricultural researchers working in rural energy and environmental protection.